Decent vampire movies are making a serious comeback after nearly being staked right through the heart by the bloody Twilight franchise. First up this year there was Jim Jarmusch's Only Lovers Left Alive, then I got to see a little gem at the London Film Festival called A Girl Walks Home Alone At Night and then tonight I get to see mock-documentary What We Do in the Shadows. It just goes to show that even after the moping, preening, sparkling vampires of that unholy tween franchise, films featuring bloodsuckers will really never die. This horror sub-genre is as immortal as ever and enjoying a witty and original renaissance. 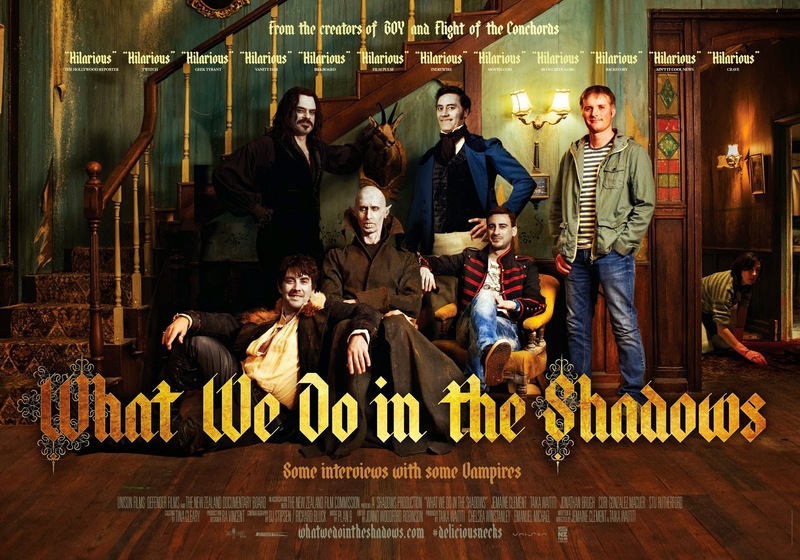 What We Do in the Shadows is from the guys who brought us Flight of the Conchords and Eagle Vs Shark so expect much hilarity to ensue. The trailer looks brilliant, with its last line being a particularly funny look at what I imagine David Brent from The Office would be like if he joined the legions of the undead.